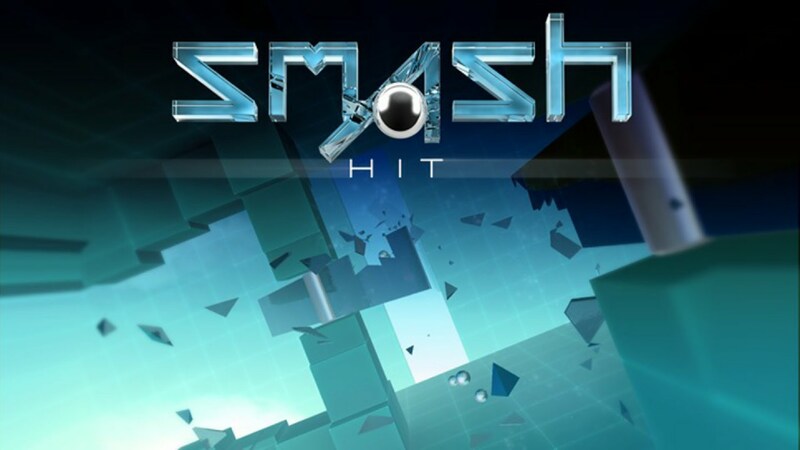 Smash Hit was instantly one of my favorite Gear VR games! It is a cross-over app from a non-VR version of the same name, and the VR version is better. 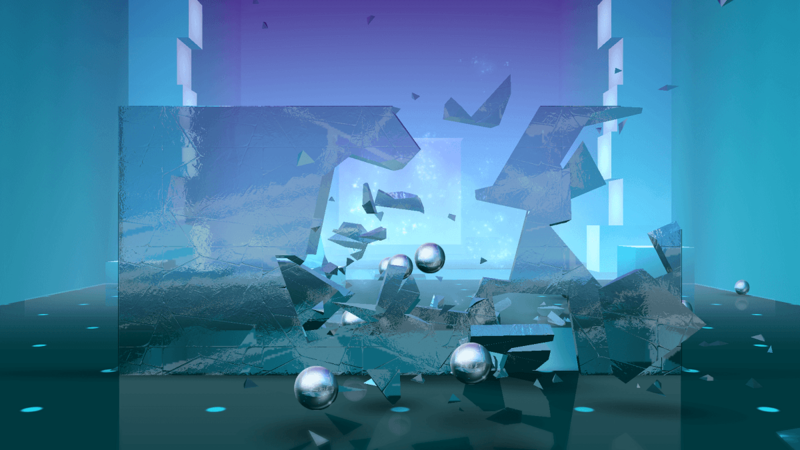 It is a simple gaze shooting game where you throw metal balls at different shaped glass objects that appear in your path. Although the game is simple, it shines in the elegance of the world you become immersed in along with the trance inducing soundtrack. 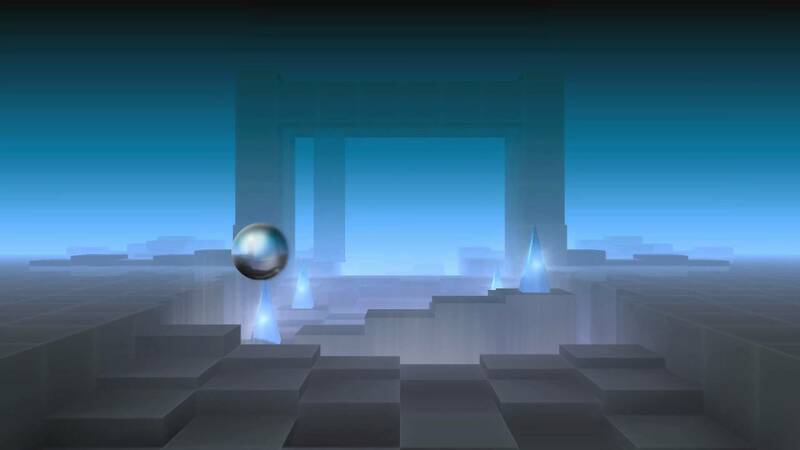 The game starts with the user hovering above a myriad of tall thin rectangular structures resembling a city of abstract skyscrapers. You progress over the structures in a straight line at a constant speed while obstacles made of glass appear in your way. 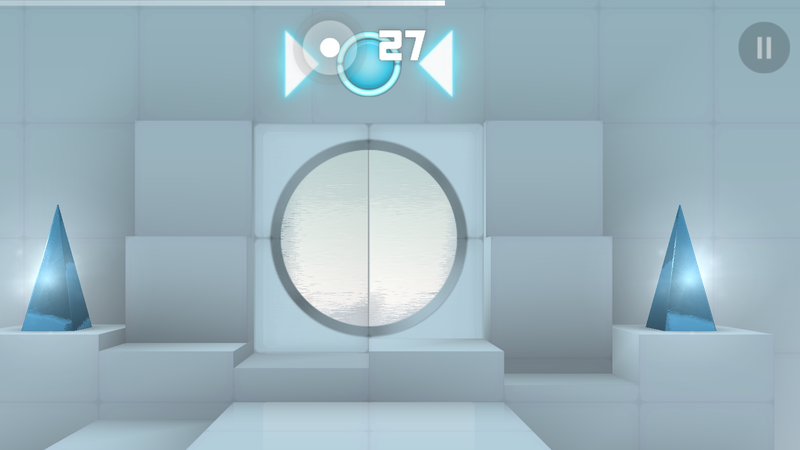 You must shoot the them with metal balls to break the glass before crossing through it.  You have a limited number of metal balls that can be replenished by hitting triangle or star-shaped glass statues that appear while passing through the level. If you go through any glass object without breaking it first, you will lose some of your metal balls. The goal is to progress past your furthest distance before losing all of your metal balls. The games transitions well into VR because of the environment it transports you to. You become immersed in a world filled of bright colored glass. Although your speed and direction are constant, you are free to look all around the beautiful world as you travel. The graphics make the glass very realistic. It is realistic enough to add to the stunning visualizations while also causing you duck, blink, or flinch each time your face breaks through glass. The music is nicely done and adds to the world it transports you to. It is slightly energizing while also putting you into a trance. If an action game and a meditative experience had a child, it would be Smash Hit. The constant speed and direction also make it so this not a jarring experience. There are no twists and turns working against your stomach. There are a few times in later levels where the world spins in front of you, and that can be disorienting. It also only lasts for a short time. Some people will enjoy it and others will not. But, besides that, this is one of the most comfortable experiences I have had while moving in a VR game. I highly recommend trying Smash Hit and it definitely has replay value as a start it and play game.